AdWords was launched almost 18 years ago. Google has made a lot of money with its advertising platform. Now the company is separating from the brand name of its cash cow. Ads can still be placed, of course. However, three advertising products are now available for this purpose. 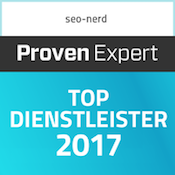 Also in our SEO news of calendar week 26-2018: Better chances to rank high with videos, the new “URL inspection tool” and a clarification on Canonical URLs. Google names 24 July 2018 as the starting date for the new brands. Google Ads is intended to make it easier for smaller companies to enter the Group’s advertising world. 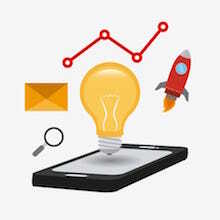 In future, you will not only receive suggestions for ads on the search results page (SERP), but also for advertising options on YouTube or Google Maps. In the USA, Google has been offering so-called smart campaigns for this purpose since this week. Machine learning helps small businesses to learn how to optimize their advertising. For example, the tool analyzes the behavior of users and, if necessary, suggests entering a directly dialable telephone number in the display. 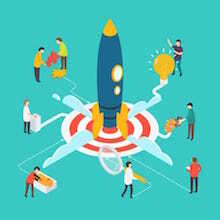 Larger companies and agencies, on the other hand, usually prefer to develop their own ideas and strategies for their advertising measures. To achieve this, they are dependent on analyzing the success of their advertising as continuously as possible. The new Google Marketing Platform will make this easier in the future. It not only combines the DoubleClick Marketing products with the Google Analytics 360 Suite, but will in future also offer further features such as Display & Video 360, which should make it possible to carry out advertising campaigns consistently in one place. The new Ad Manager brings together DoubleClick for Publisher and DoubleClick Ad Exchange offerings. The Ad Manager should not only be an opportunity for publishers to generate additional income with their offers and content. Rather, the tool should also serve to show possibilities for increasing sales. In future, the ad manager will show on which devices and platforms users can be reached. 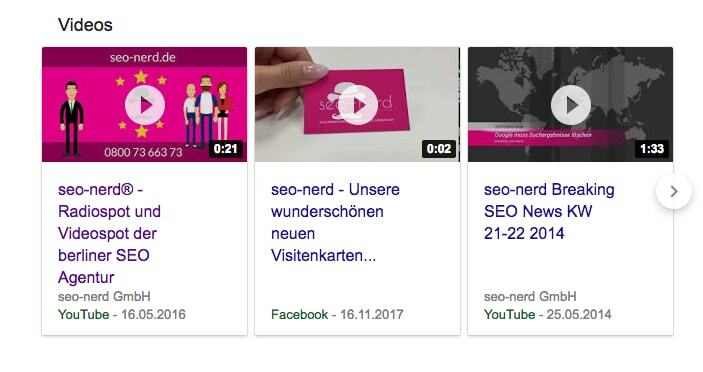 Since last week, Google no longer displays videos on the desktop SERPs using video thumbnails in the organic results, but instead provides a clear video carousel. This offers space for an average of 8.5 videos. The chances of scoring well with a video are therefore better than ever. According to Sistrix analysis, website operators even benefit twice from the innovation: Often the URL of the hosting website is displayed instead of being linked to the platform URL. 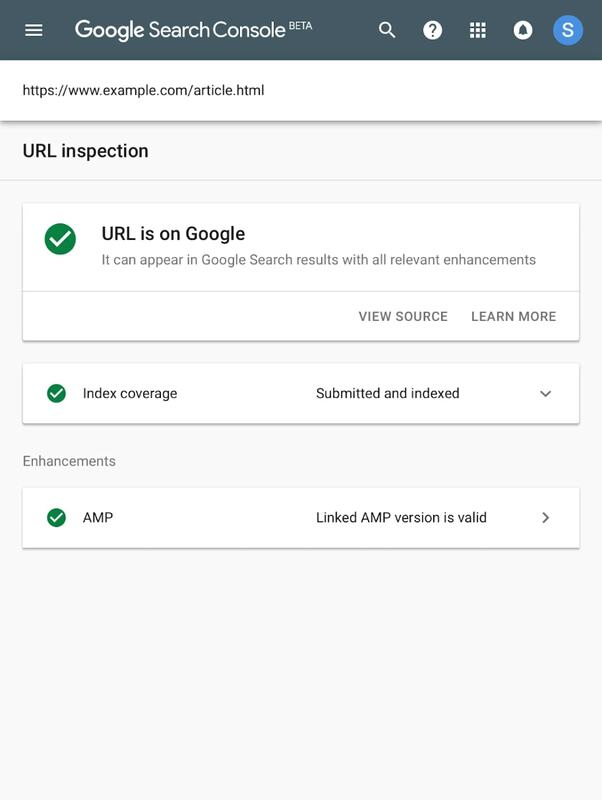 Google announced the rollout of the “URL inspection” tool in its own blog this week. 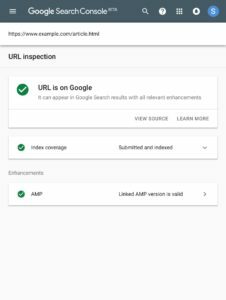 The URL inspection tool provides detailed crawl, index, and service information about pages directly from the Google index. If you enter the URL of a page, you now get information about the status and date of the last crawl. Any crawl and indexing errors are also displayed. 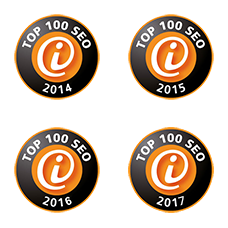 If the page was indexed successfully, all extensions of the URL are also displayed, such as linked AMP versions or rich snippets for recipes or jobs. 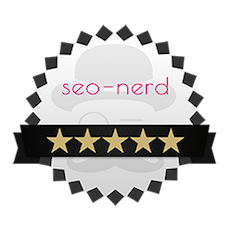 If a page has not been indexed, the “URL inspector” displays possible reasons for this, such as a “noindex tag” in the HTML code. In such cases, the tool also refers to other pages with the same problem, making it easier to identify and correct common errors. The “URL Inspection Tool” also displays the Canonical URL. There has been some irritation about this this this week. In a hangout there were misleading statements by Google spokesman John Mueller that sounded as if Google would ignore URLs if they were not explicitly assigned a Canonical URL. In a later tweet, however, Mueller makes it clear that Google automatically assigns a canonical URL to each indexed URL. If this is not suggested by the webmaster, the URL and Canonical URL are usually identical. Background: For example, canonicals are set for products that differ only minimally (for example, in color, size, quantity, etc.). With the Canonical-tag a main URL is defined. Google knows that it only needs to take this one main page seriously (and understands that the repetition of text is not duplicate content).